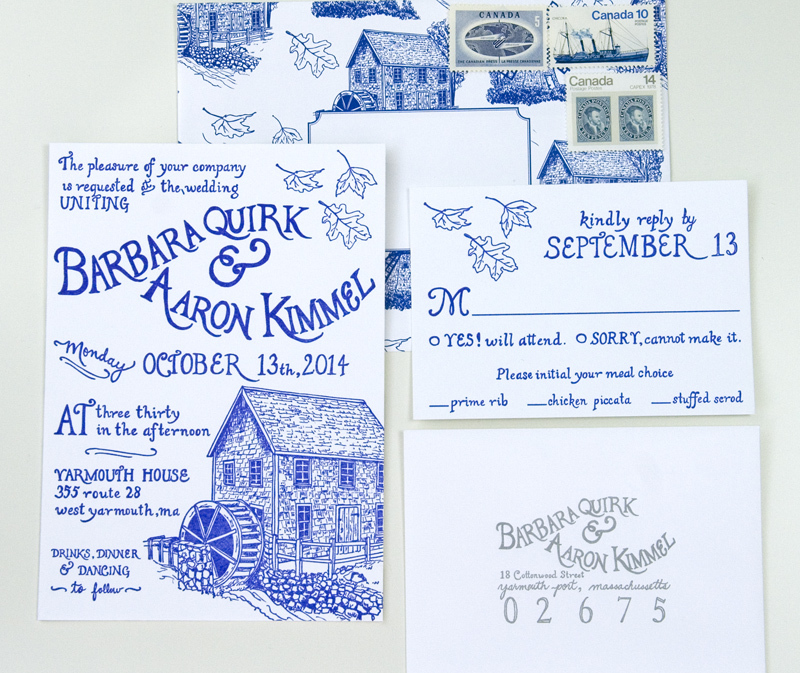 Much to my pleasure, my brother and sister-in-law gave me carte blanche when designing the invitation suite for their Cape Cod wedding. They didn’t have any specifications other than the colour palette and that they didn’t want a typical nautical “Cape” style. 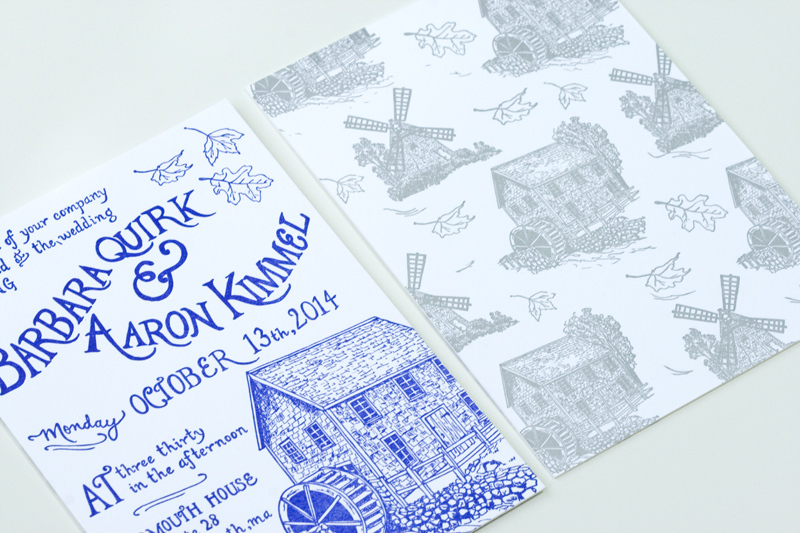 I knew I wanted to create a design that was very much focused on illustration, so came up with this toile pattern that included a gristmill and a windmill (the venue had a water wheel outside), with some fall foliage thrown in because it was a fall wedding and fully illustrated type. 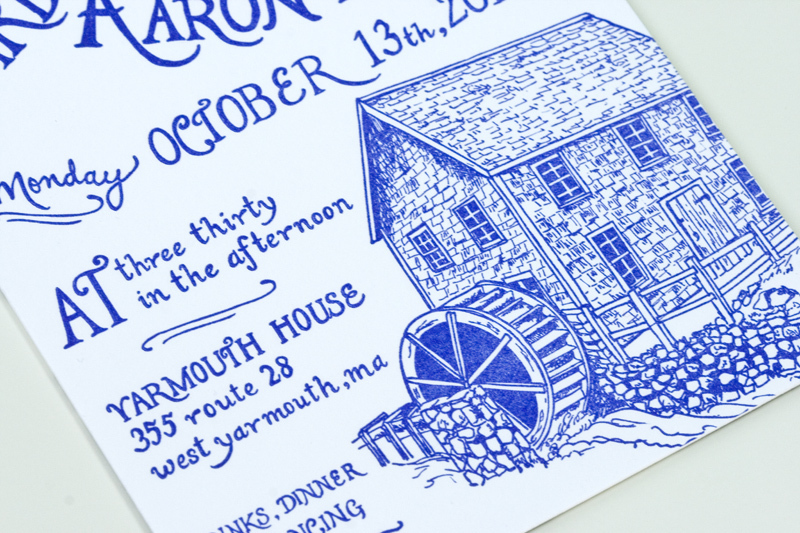 Everything in this suite was hand drawn, including every letter. 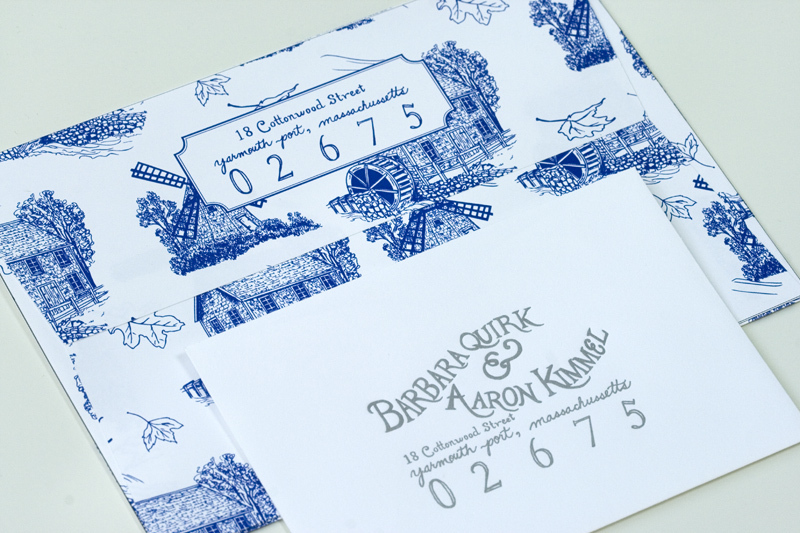 All pieces were then letterpress printed (also by me) except for the envelope, which was digitally-printed. 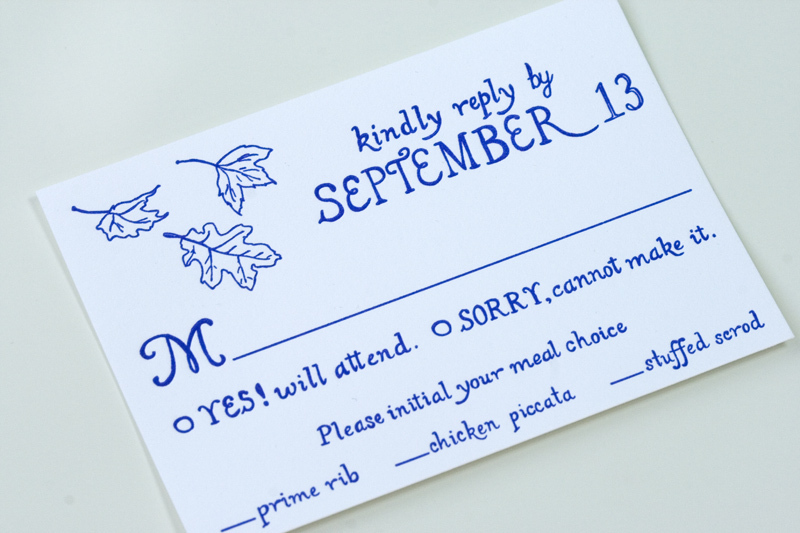 I’m so happy with how this invitation turned out. It’s great when clients let you do your thing and have fun with a job. Fun wedding too!